Today’s article is about one of the favorite and easiest vegetable. We have discussed spinach growing. Now today we will discuss its cousin the Lettuce. It will focus on how to grow lettuce and useful tips about growing lettuce. 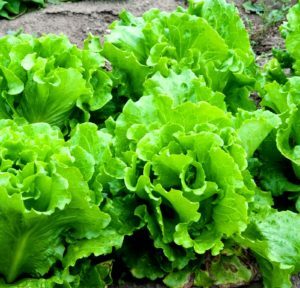 Lettuce is very easy to grow and probably the most favorite vegetable after tomatoes. You can also use container gardening methods to grow them. As discussed in our earlier article lettuce being a leafy vegetable, Lettuce grows pretty well in shade (click here to know about shade gardening) also. Like almost all other vegetables lettuce also prefers nutrient enriched well-drained soil. A pH of 6 to 7 is ideal for lettuce. It is not a plant of the summers. Too much heat will result in faster bolting and will make the leaves taste bitter. Ideal temperature ranges from 45 to 75 degree F.
The best part of lettuce planting is that you do not need to bother much about the spacing. You can space them wide or you can plant them very close they will adapt to the spacing. Sow the seeds only ½ cm deep into the soil. You can also use coconut coir or Perlite to grow the seedlings. To make the soil more fertile add compost to the soil before planting. You can also add bone meal, cottonseed meal etc. Choose the manure which has nitrogen in high quantity. Leafy greens like lettuce flourish in nitrogen. Lettuces do not have a deep root system; most of the water it absorbs is from the surface and nearby. So it is very important that you keep your soil moist. A thick layer of mulch will save them from weed infestation and also retain the water inside the soil. Normally your lettuce plant can handle a little bit of slug and aphid problems. But if you feel the need to make your plants pest-free use organic pest control techniques. The best time to harvest lettuces is in the morning; that is the time when they are crispiest. Harvest with a knife. If the variety forms head; cut it right below the head and separate it from the stem. Some varieties do not form the head. Well, in that case, harvest the leaves from the outer side of the plant and leave the central core intact. This process will give you a continuous supply of lettuce. You can choose any type of leaf to be it mature or tender. The immature leaves taste best with the salads.